This ravishingly stylish lady you may have seen before on this blog. 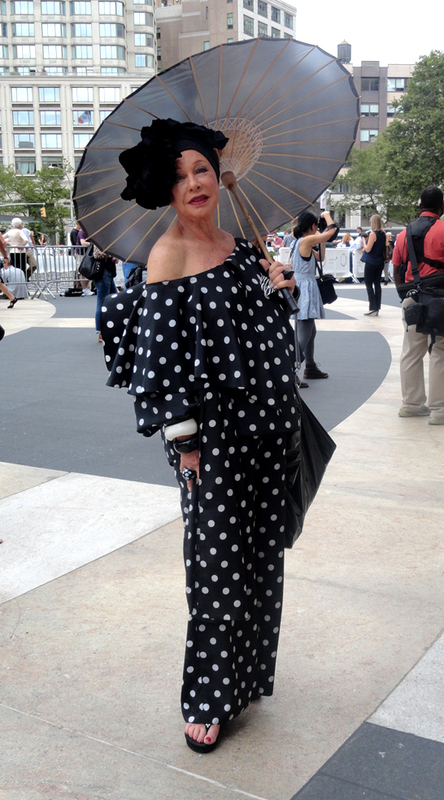 She is Lynn Dell, style guru and owner of Off Broadway Boutique in New York. She contacted me to tell me some fantastic news. The show is about Lynn discussing and giving tips on everything fashion, from how to dress for your figure/age, to how to accessorize a simple outfit. Lots of useful information for women of all ages! The show will be running every Tuesday morning for 13 weeks. Read more about Lynn Dell here and here. Very, very, very CHIC!! D.
Hello there! I just saw your comment on my blog and came here to say hi! Your blog is really cool! I really like it!!! Best wishes from Paris and Happy Xmas to all ! ohh what an awesome woman my GOD!!!!! !